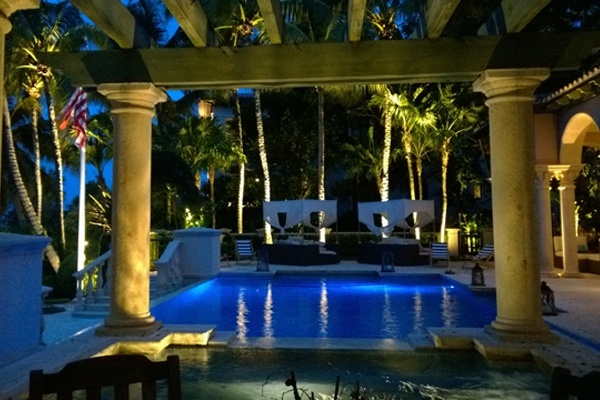 Elegant landscape lighting design requires visual mastery. Here at Lite It Up we have mastered creating depth, dimension and continuity in a 3D design. The results of our artistry create breathtaking landscapes that come to life in the night. Every single one of our landscape lighting designs are as unique as your landscape. See for yourself how we can enhance your outdoor living space & make you the showcase of the neighborhood. 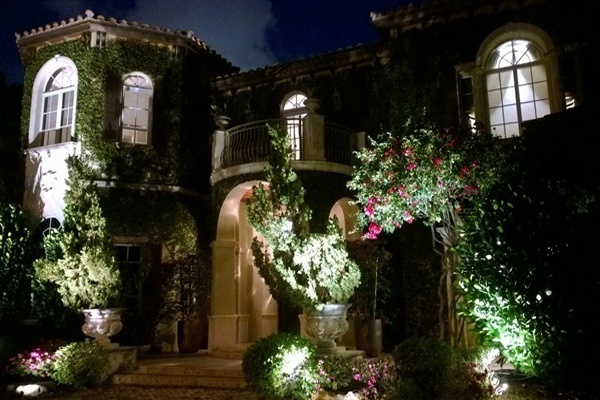 Along with the perfect ambiance, quality landscape lighting design will increase the market value of your property. It also provides safety and security the night thru. This backyard is extremely dramatic with all of the Up Lights and hidden accent lights throughout the landscaping and swimming pool. The Up Lighting on this home gives it the necessary security without having additional security lighting on each corner of the house.